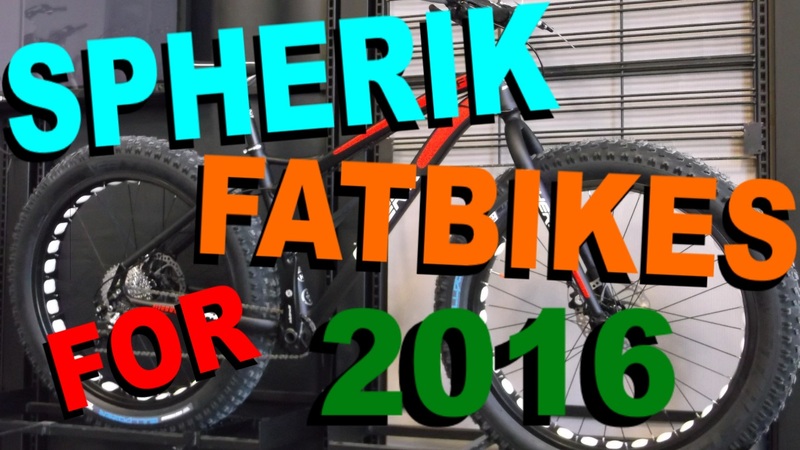 A short while ago I shared with you a quick first look at Spherik's 2016 fatbike line-up. 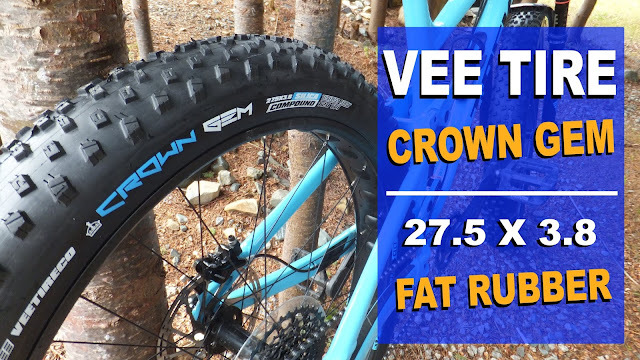 With the help of Fun-n-Fast I have been able to get my hands on the complete Spherik lineup and take a much closer look at what these Canadian fatbikes have to offer. For the 2016 model year the Quebec based fatbike purveyor is supplying five models from which to choose: SF1, SF2, SF4, SF6 and the SF8. The SF1 is designed for smaller adults and kids between 9-14 years of age. It has a very low stand-over height and the full-size 26" x 90 mm wheels and 4.7" Bulldozers make it very stable. 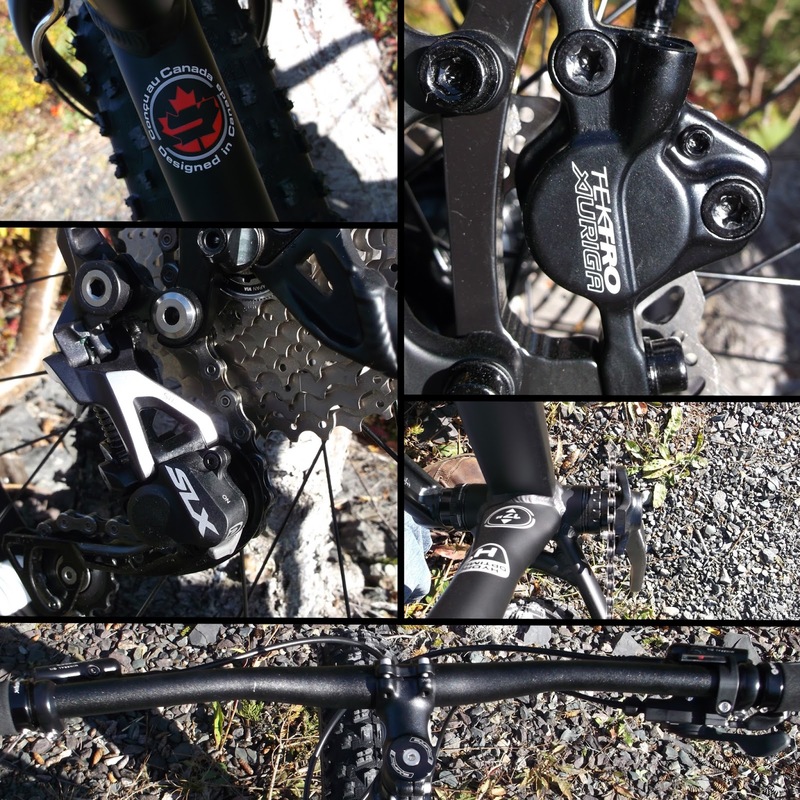 Drivetrain is a 1 x 9 setup mated to a 190 mm rear end. Stopping is accomplished by mechanical disk brakes. This is one really neat little bike and it is only available in XS. I think the design would be really cool if it was available in larger sizes. The welds are very clean and I really like the vibrant red. It sort of reminds me of the old BRP Traxter ATV with its step-through design. 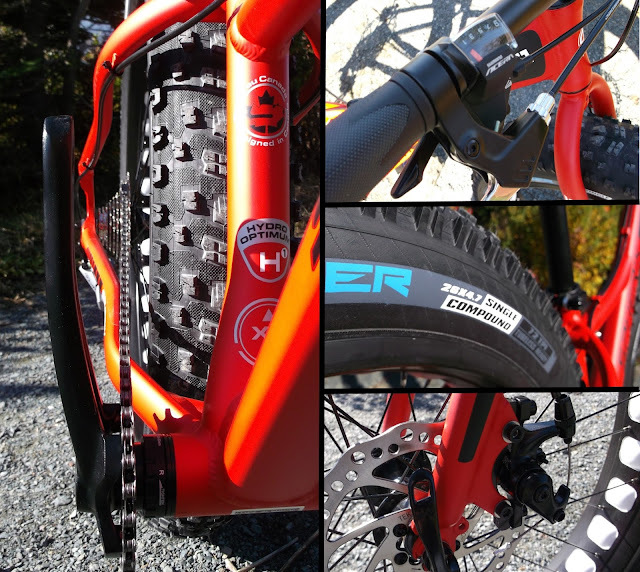 The SF2 is Spherik's entry level adult fatbike. It has a cro-moly fork and is shod in 4.7" Bulldozers on 90mm rims with a 190 mm rear end. This bike runs a mix of Shimano and Spherik components on its 1 x 9 drivetrain (24T with 11-36). Brakes are Tektro mechanical disk with 160mm rotors fore and aft. 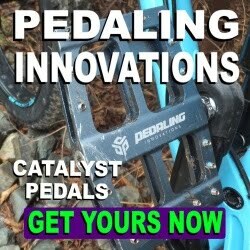 Most entry level bikes at this price point run a front derailleur with a 2 x system, do not have the room for 5" tires, and have lesser quality 4" rubber. The SF2 offers quite a lot of bike for those on a budget. Sizes are available to fit most people and include: S(15.5"), M(17"), L(19") and XL(21"). Graduating to the SF4 provides a bunch of upgrades. 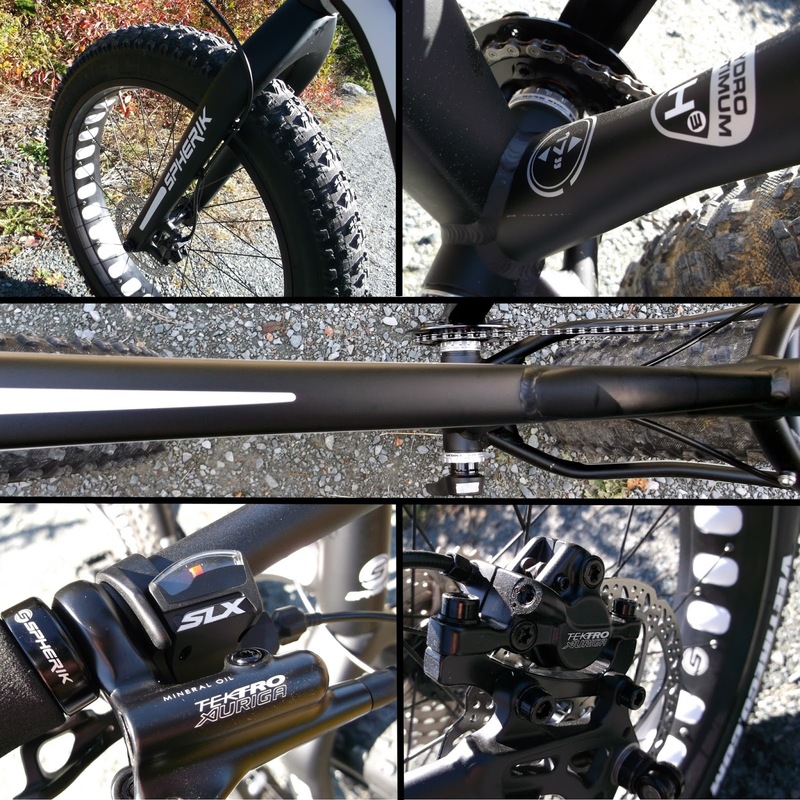 This bike rocks a 1 x 10 (SLX rear), hydraulic brakes (Tektro), 150 mm aluminum fork with 15 mm thru-axle and wider 100 mm rims. And the frame is Bluto compatible. These upgrades make the SF4 just that much sweeter. The 190 mm rear end and tires are carried over from the SF2. This frame, like all the others in the Spherik line-up, was designed in Canada. Sizes include S(15.5"), M(17"), L(19") and XL(21"). Race Face components make an appearance on the SF6 with the stem, bars, bottom bracket, crank and seat post. This 1 x 10 has a Deore XT derailleur and SLX shifter. 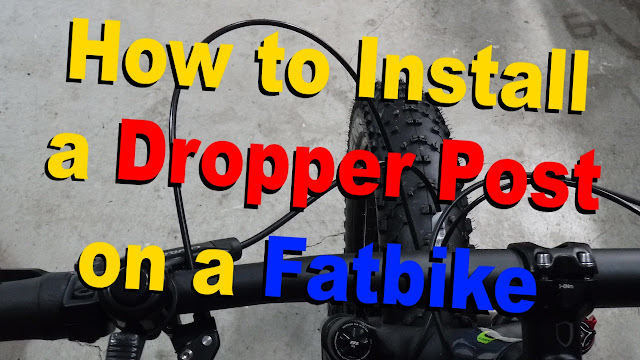 Brakes are hydraulic with 160 mm rotors and there is a super comfy WTB saddle. And last but not least, a carbon fork graces the front end of this stealthy fatbike. If you want to swap out the carbon for a little squish, the SF6 is Bluto corrected just like the SF4. I really like the white on black colour scheme on the SF6 and the carbon fork really lightened up the front end. 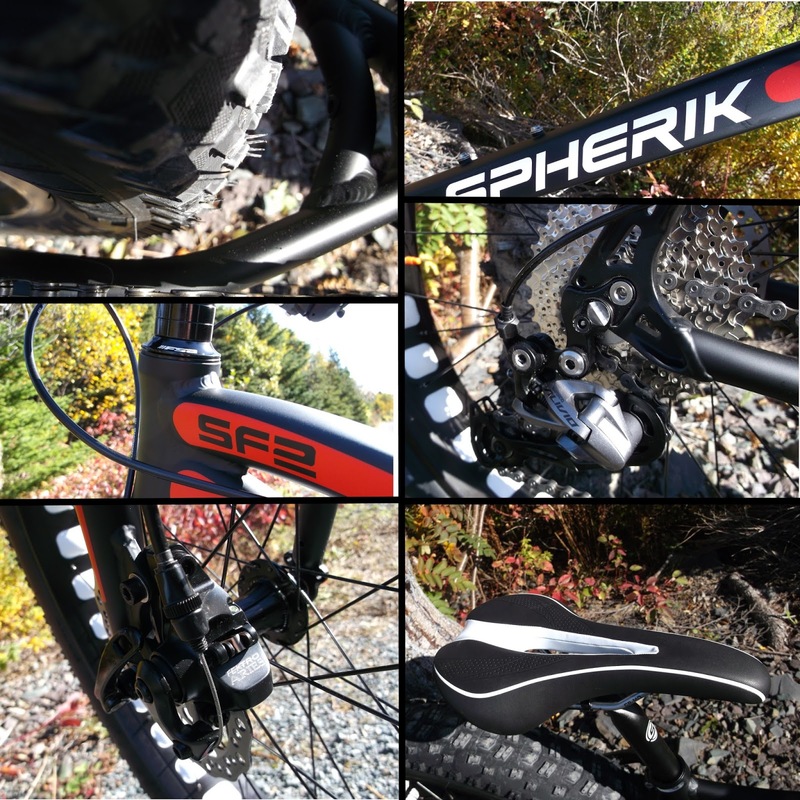 Although the SF8 was unable to make the photoshoot I can share with you what makes this the top-shelf bike of the Spherik line-up. In addition to having the carbon fork it also sports a pair of 100 mm carbon rims to further reduce weight. The 1 x 10 drivetrain is now full Shimano XT and stopping is handled by Shimano Deore XT . . . in addition to other bits and pieces that equip this bike for performance. Although I did not get into any unspeakable terrain and there was a distinct lack of snow, I did spend some quality time with the SF6. For sizing my 5"10 frame fit squarely between the M(17") and L(19") . . . pretty much the same as other bikes I have ridden. 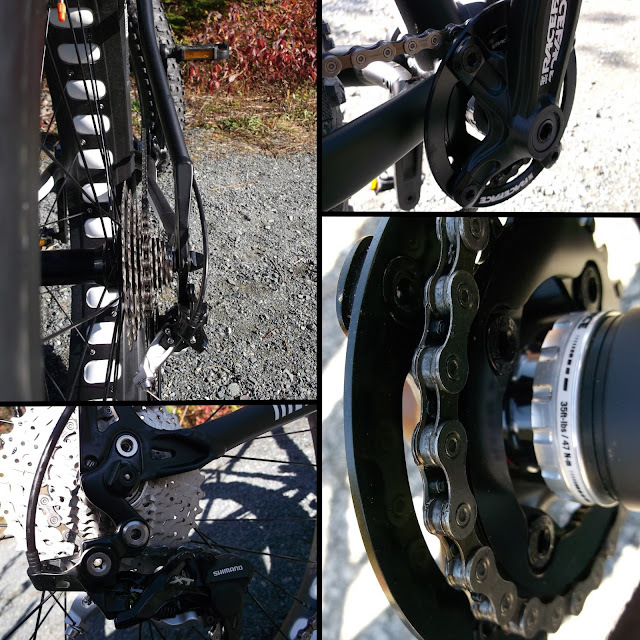 The 24T chainring got the bike up to speed really quickly with the SLX shifter and Deore XT derailleur shifting flawlessly through the gears. The grips were comfortable and the WTB seat will make you welcome long rides. My fingers fell easily on the Tektro hydraulics and a one finger pull was all that was needed to pull the bike down from warp speeds. The 760 mm bar made maneuvering during high speed flying and slow speed prowling easy and predictable, with the 70.5 degree head angle giving the bike a XC sort of feel. Great choice on the tire and rim grouping. I have been a fan of recent Vee tires and the Bulldozer has a great combination of fast rolling centre knobs coupled with side knobs for extra grip. Airing these tires down for the white stuff will get you where you need to go. You need to check out the info-graphic over on the Spherik website on their analysis of rim width vs tire width vs tire pressure and its impact on usable contact patch. Bottom line . . . a 100 mm rim and 4.7" tire is the best combination. The 2016 Spherik fatbike lineup has practically something for everyone from introducing a young adult to the world of fat, just getting into the sport yourself or upgrading from a current ride. The bikes offer good value for the money and I really like the attention they have given to the rim and tire grouping, balancing float and traction. 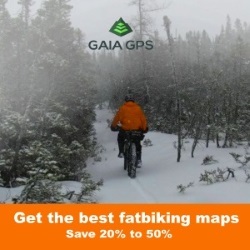 Two important factors in the world of fatbiking. 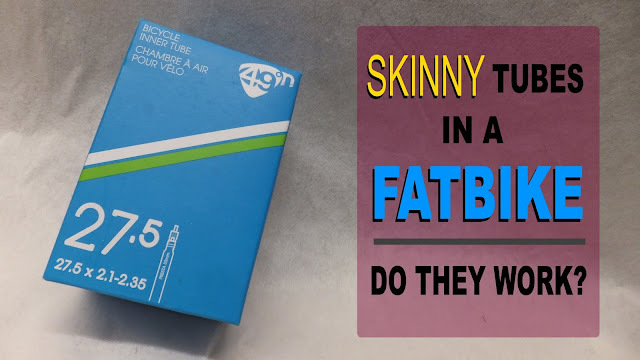 If you live in the land of the Republic, be sure to check out Fun-n-Fast to view these fat velos for youself. 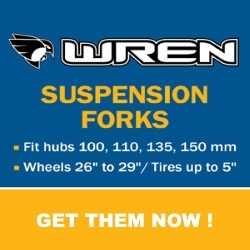 If not, check out the Find A Dealer section of the Spherik website for a LBS near you and be sure to like them on FaceBook.